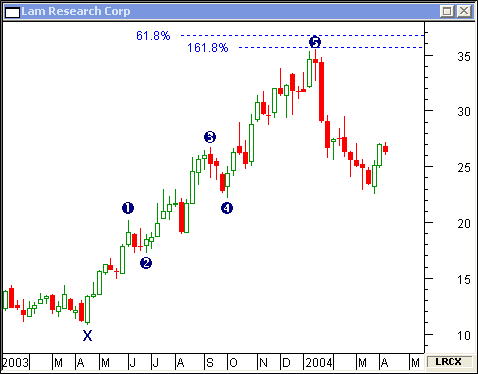 ibonacci Extensions can uncover stock reversals by combining price projection percentages. Learn how to forecast these turning points by studying the following charts. 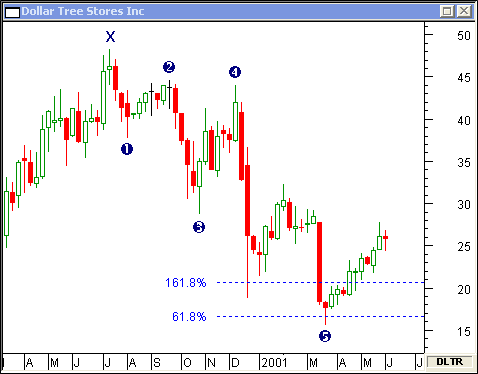 This weekly chart of Dollar Tree Stores Inc shows two price extensions. The first extension is calculated by multiplying leg X1 by 161.8 percent. The second leg, X3, is multiplied by 61.8 percent. Support was found in the $17 to $21 price band. 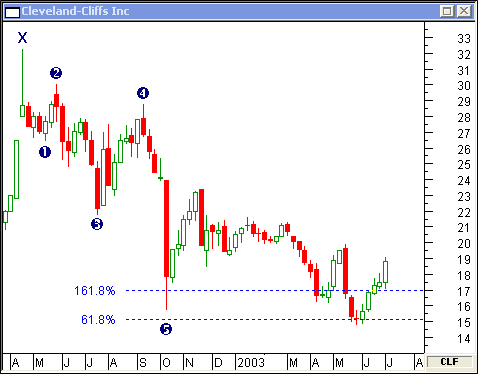 The 1.618 percent extension of X1 and the 61.8 percent extension of X3 combined for price stopping support near $42 on this weekly chart of TCF Financial Corp.
On this weekly chart of Cleveland-Cliffs Inc, price found support twice in the $15 to $17 range created by the 161.8 and 61.8 percentage extensions. 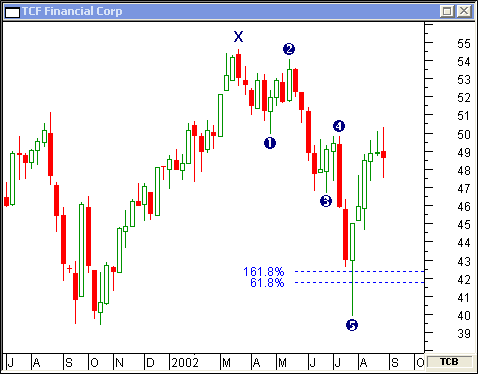 Fibonacci Extensions will forecast likely areas of resistance... marking key market turning points. 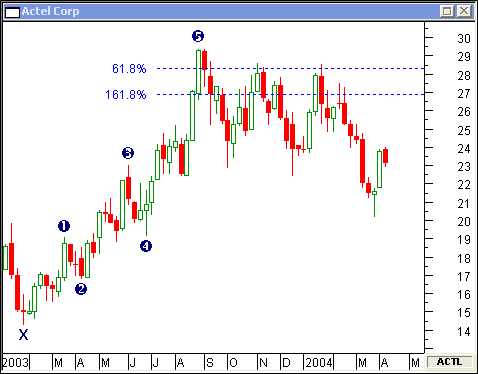 This weekly chart of Actel Corp shows stiff resistance caused by the combination of the 161.8 and 61.8 percent extensions. Note how price action was repelled multiple times at the $27 to $28 zone. 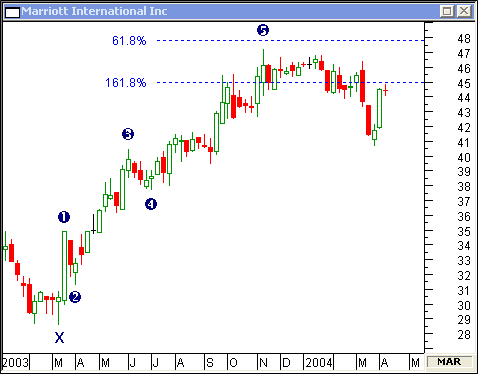 Price bumped into resistance at the 161.8 and 61.8 percent extension bands on this weekly chart of Marriott International Inc.
On this weekly chart of Lam Research Corp, the price was stopped short at $36. The closer the extensions are together, the more likely price action will be turned away.